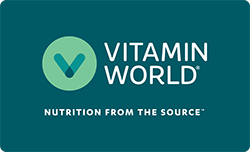 Home | Sale | Buy One Get One | Select Vitamin World and Precision Engineered | Triple Strength Cranberry Fruit Concentrate 12600 mg. Triple Strength Cranberry Concentrate contains the equivalent of over 12,600 mg of cranberry concentrate per serving, which is 3 times more than our regular Cranberry Concentrate. Other Ingredients: Soybean Oil, Gelatin, Vegetable Glycerin. Contains <2% of: Soy Lecithin, White Beeswax. Contains: Soy Ingredients. Triple Strength Cranberry Fruit Concentrate 12600mg is rated 4.9 out of 5 by 17. Rated 5 out of 5 by Dottie49 from Great product! Love this cranberry product. Small and concentrated. Rated 5 out of 5 by Nainai from Excellent product Excellent product, very satisfied with it, For health benefits, would like to recommend it to other people. Rated 4 out of 5 by Diamond from Excellent product Works very well and feel a lot better since beginning use. Rated 5 out of 5 by ChappiesReview from Great product. I need to take this regularly, since I take a lot of vitamins. This product works, and my urinary tract appreciated it. Rated 5 out of 5 by Harleyman201 from Best Buy Ever I take these Cranberry Fruit Concentrate softjels for urinary track health. Rated 5 out of 5 by Liz from Great product It is effective and easy to swallow.